Claiming secular for theology from Bonhoeffer's conception of this-worldly, Paul Bischoff proposes a secular church as the scandalous re-incarnation of God. Jesus, the God-human, lived, died, rose from the dead and left behind "his body," a new humanity of recovering sinners. The church takes up Jesus' cross to participate in the sufferings of Christ for the world. A secular church, one present for our world come of age, proclaims the foolish Gospel of a crucified criminal. It is secular because it is for our time. It is the church because it is the embodiment of the vicarious Word who represents others. Combining Karl Barth's theology of secularity and Bonhoeffer's ecclesiology of humanity, The Secular Church seeks to dismantle the Gnosticism of our day urging an engaged incarnational church, not one spiritually withdrawn from the world. 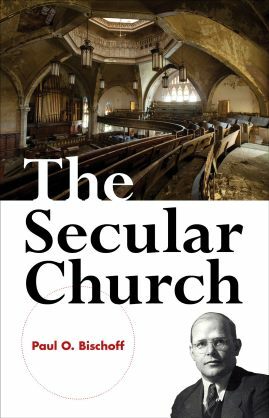 The Secular Church is available for purchase via Lulu.